We've seen quite a few clones on the App Store, but this takes it to a whole other level. If Nintendo won't release its games on the App Store, others will...sort of. 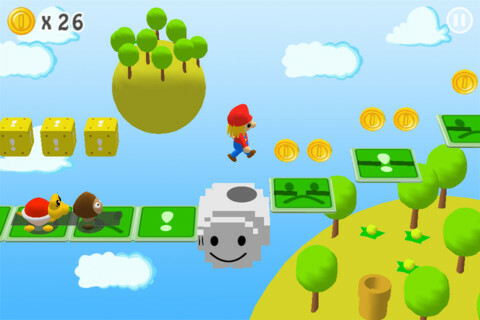 The most recent offender is seller Jiang Zhi, whose iPhone title, 3D Cartoon Land: Safari, bears a striking resemblance to Nintendo's own Super Mario 3D Land. We'll go so far to say it's the most shameless rip-off we've seen in mobile. The game's hero, decked out in Mario garb, explores a world similar to the Mushroom Kingdom, collecting gold coins, jumping onto flagpoles and avoiding enemies that look almost exactly like goombas and koopa troopas (known as angry tortoises). 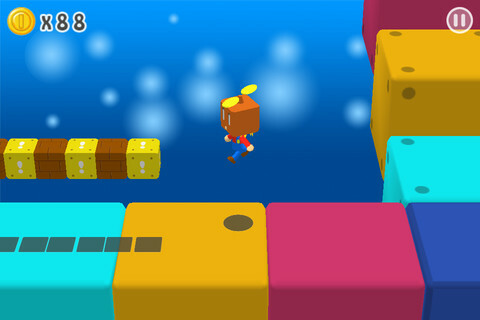 The developer even "borrowed" the propeller block from 3D Land. Suffice to say, it's only a matter of time before Nintendo files a complaint. That said, don't expect to see 3D Cartoon Land on iOS for long.